Our brand-new apartment homes have luxury and style in mind with an array of convenient amenities right out your door. Each apartment home has high-end finishes and accents that provide comfort and class. Come tour our beautiful new community and make your move to The Alloy at Geneva today! Our amenities provide our residents with a sense of community. Enjoy our patio equipped with gas bbqs and our resort style pool! 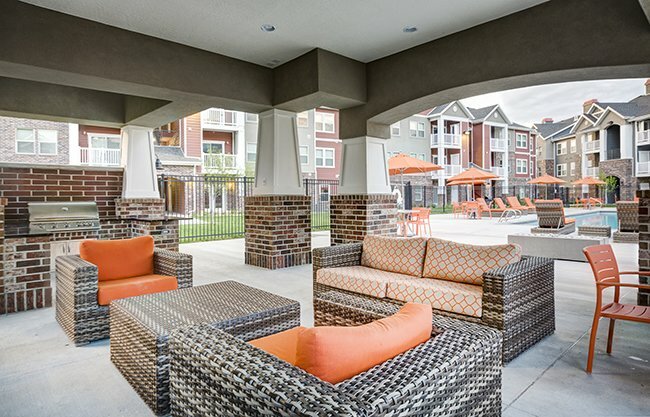 Paired with our community amenities, our apartment amenities will make your life easy. Our apartments offer top of the line finishes including granite counter tops, stainless steel appliances and hardwood floors.